Azul: Stained Glass of Sintra is the sequel to Azul, this year's Spiel de Jahres winner and a best-seller in the store. Sintra lives up to is predecessor with elegant art, beautiful and high-quality components, and complex gameplay. This time, as the title suggests, players are building stained-glass windows out of gemlike, transparent panels. 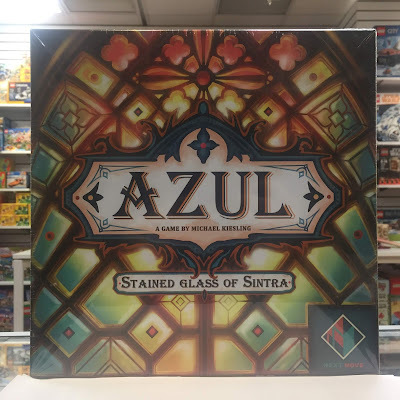 With reversible game boards and way more pieces, this game is more elaborate than its predecessor, and is thus an excellent game for players who've played Azul to death and want to advance to something more complex. 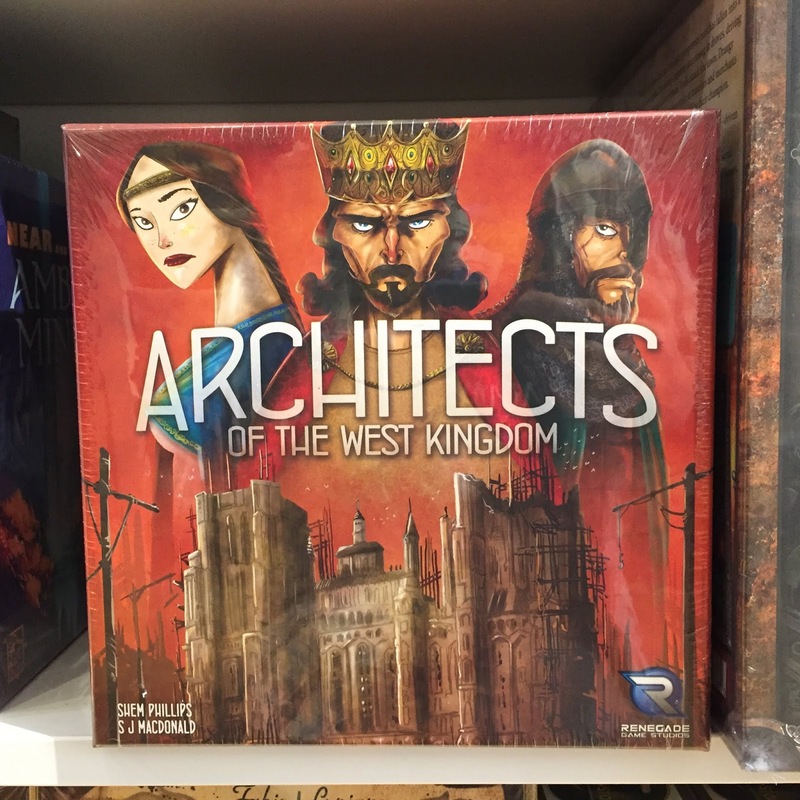 Architects of the West Kingdom is the first game in the new West Kingdom trilogy, successor to the popular North Sea series. Set in the historical Carolingian Kingdom, the players act as architects working for wealth, fame and glory. You can dedicate yourself to the Archbishop and his mighty Cathedral or strike out on your own private constructions. Along the way, you'll face moral choices: a little corruption here and there can fatten your pockets and grease your projects, but too much and your virtue will be compromised, losing you points at the end of the game. Deploy your workers with care and claim your place as the kingdom's preeminent architect. In the legendary time of Camelot, King Arthur seeks a noble and worthy successor to his throne. For this purpose, he turns to his mentor and most trusted adviser, Merlin, to judge the worthiness of his loyal knights. 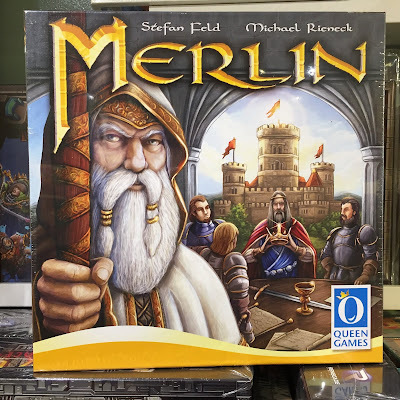 In Merlin, players act as these knights, competing to prove themselves worthy of the crown. Vanquish barbarians, build manors, and grow your influence beneath the watchful eyes of Merlin in this considered and strategic game. The greatest knight will inherit the crown! 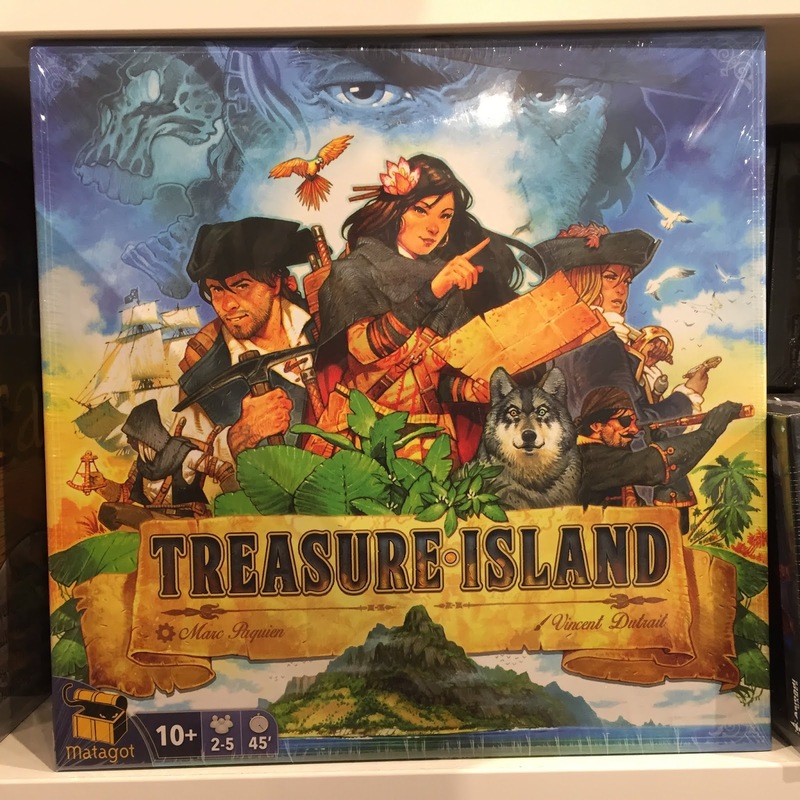 Treasure Island is a story-driven game of one against all. Set in the world of Robert Luis Stevenson's definitive classic of the same name, one player takes on the role of Long John Silver, currently the captive of his mutinous crew (the other players). He must attempt to bluff, misdirect, and deceive his captors as they attempt to drag out the truth of his hidden treasure. If you can keep your treasure safe long enough, Long John Silver makes his escape and goes for the treasure himself! In a deadly game of bluff and wits, who will prove the superior pirate? Step into the grim darkness of the 41st Millennium with Blackstone Fortress. In the blackness of space, amidst a vast graveyard of dead and floating ships, floats the dreaded Blackstone Fortress, a vast and ancient alien space station of unknown purpose and incredible technology. For eons, it has sat empty and silent, but now the races of the galaxy have sent adventurers to delve into its depths for powerful technology and secrets. 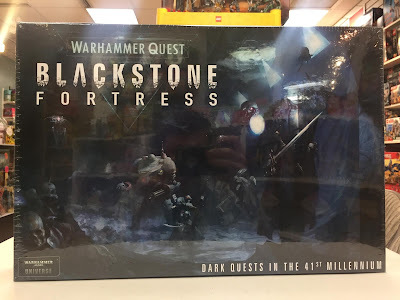 Blackstone Fortress is a cooperative, miniature-based dungeon-delving game set in the dark future of Warhammer 40k. 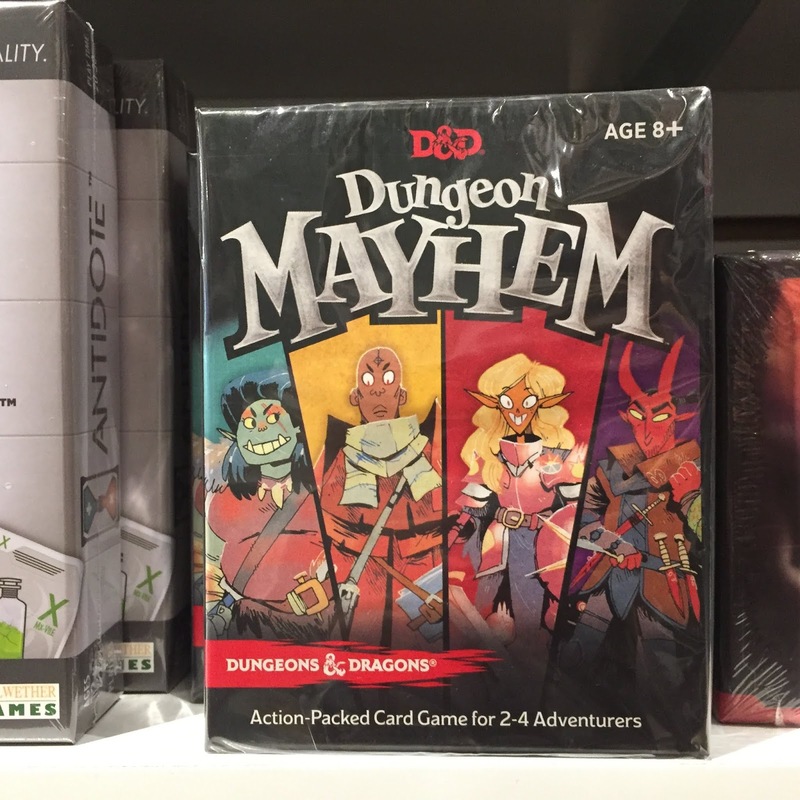 The game can be played solo, or with up to 4 players--including someone playing as the monsters! With gorgeous, detailed miniatures and a rich ruleset, this is a game no fan of tactical combat can miss. Holding On is a story-driven game that's not for the weak of heart. 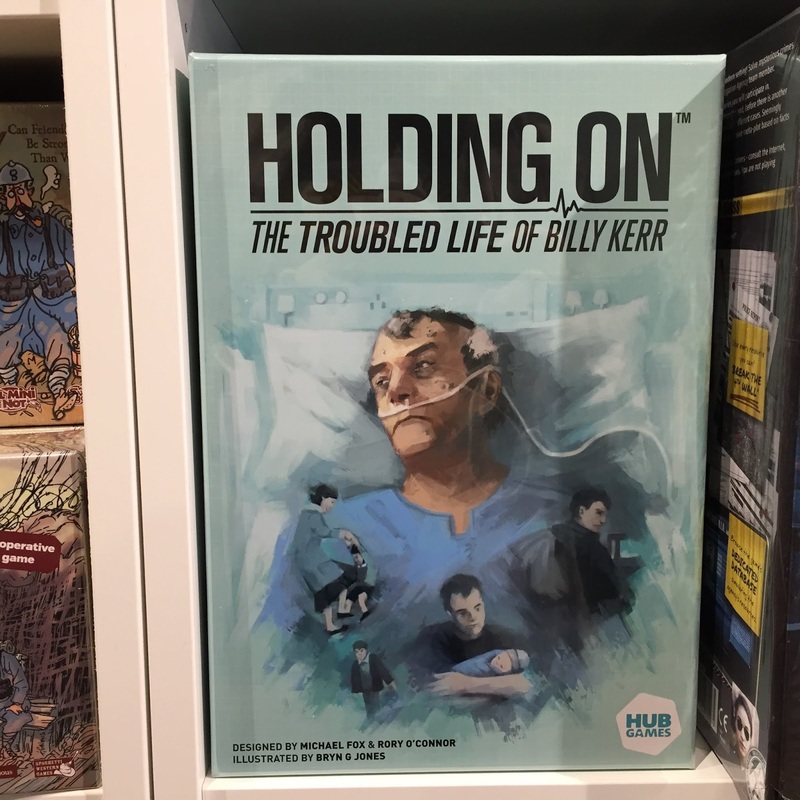 The game centers around Billy Kerr, a sixty-year-old who's dying after a massive heart attack. The players are the nurses caring for him in his last days, fending off the end as long as you can. As you do, you must earn Billy's trust, and slowly piece together the troubled story of his life. Can you help him resolve the three regrets that bind him here? 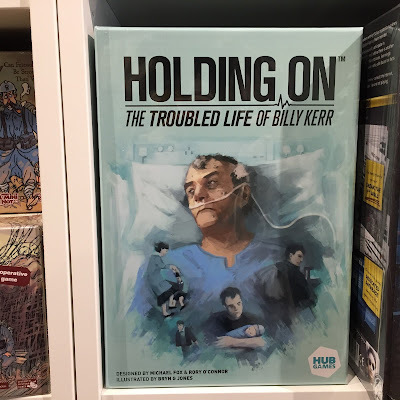 The Troubled Life of Billy Kerr is a game that grapples with the concepts of death and regret, and as such, is intended for people looking for a deeply emotional experience. 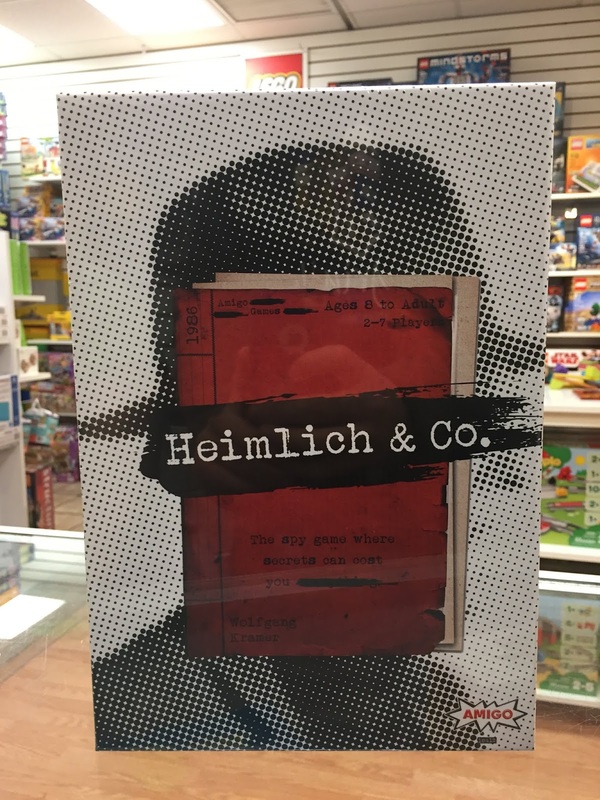 Heimlich & Co is a game of hidden movement and deduction. In the crowded streets of a bustling city, spies hide among the throngs of civilians. Players act as spies, gathering intel as they move around, but every turn they will move many, many meeples. As players investigate , they must try and deduce each others identities while concealing their own. This game is excellent for any group of canny players. Rise of the Inkas is the newest stand-alone module for the earth-shakingly popular Catan series. 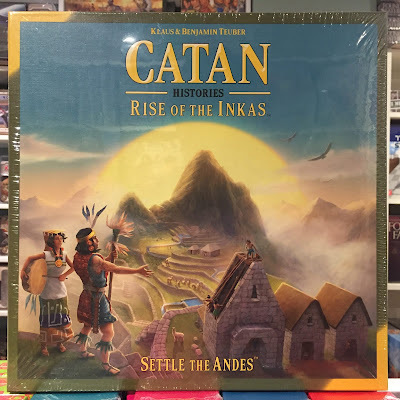 Set during the era when the Incas rose from disparate mountain tribes to an advanced empire, players will find the game updated to the scenario. Fish, cocoa, and feathers form new economic staples, and settlements can be overgrown and reclaimed by the wilderness, granting opportunities for opponents to uncover and steal them. Colonies is another expansion to the space-settlement game Terraforming Mars. The race for space expands beyond the inner system, as your corporations seek every advantage in the race to make the Red Planet a new home for humanity. 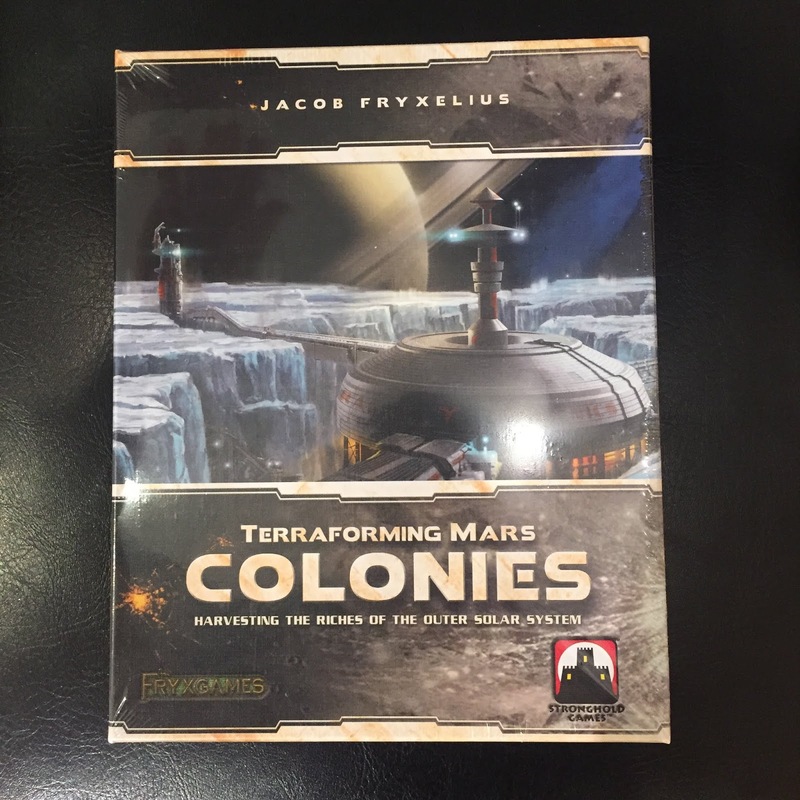 Build settlements in Jovian space and use the resources generated to improve your work on Mars. This expansion has been hotly anticipated, so grab it while supplies last! 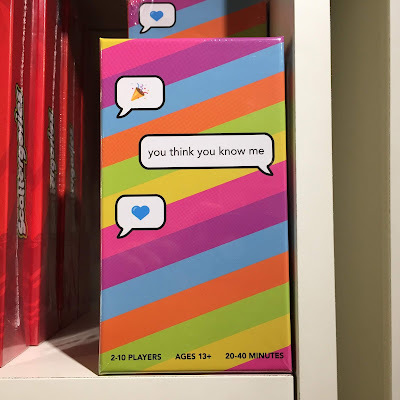 You Think You Know Me is a playful party game, a perfect icebreaker for any event. Do you know your coworker's favorite podcast? How about your brother's favorite song? 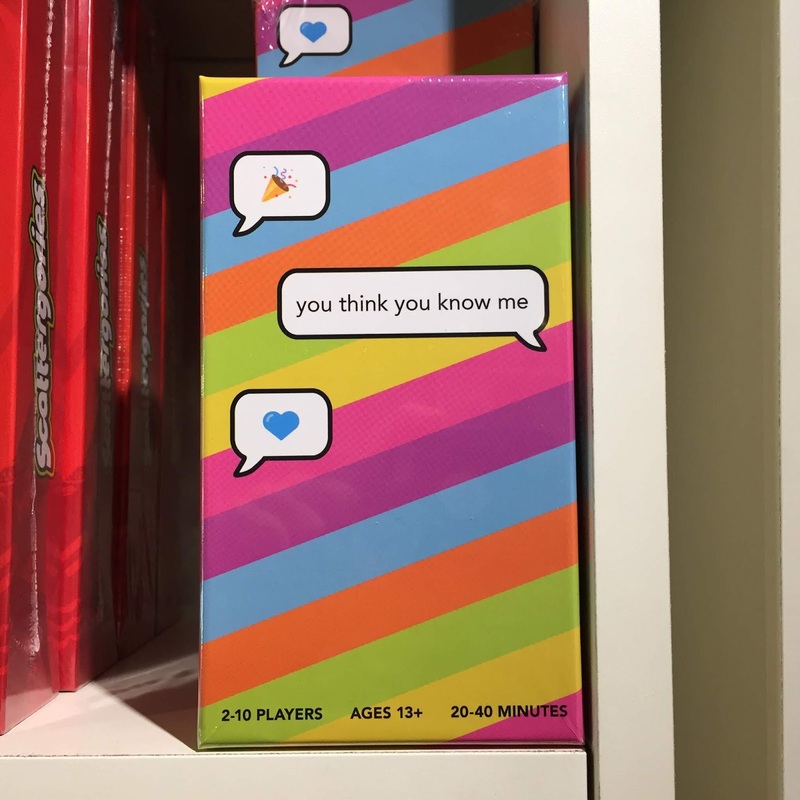 You Think You Know Me will put your interpersonal knowledge to the test! 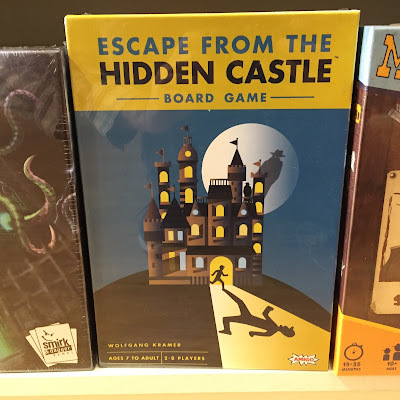 Escape from the Hidden Castle is a classic roll-and-move with a strategic twist. Players have been trapped in a hidden, haunted castle, and are pursued by a phantom. Roll your dice and make use of the castle's winding corridors and hiding spaces to stay out of his grasp! The player who survives with the least fear wins. 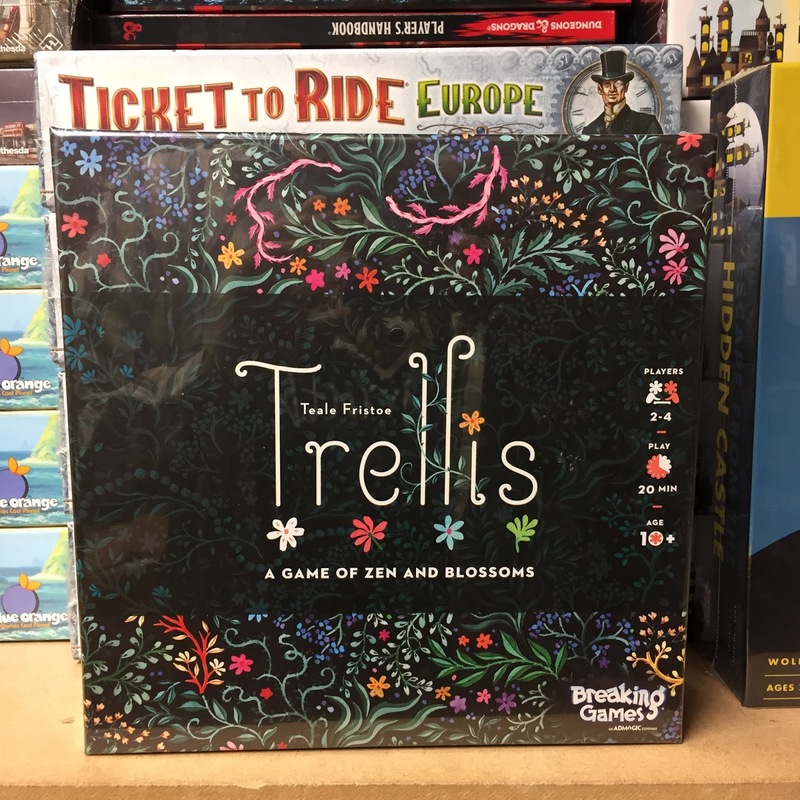 Trellis is a game of blooms and beauty, where even helping your opponent can be to your advantage. 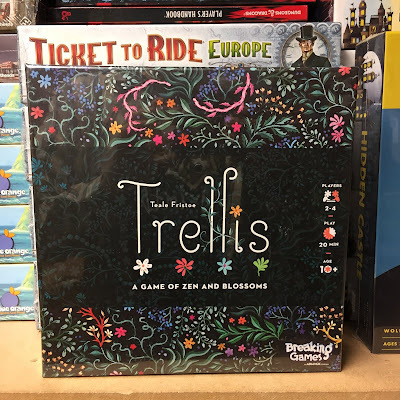 In this garden, players construct winding vines and make them bloom with color-coded flower meeples. Placement of flowers next to unclaimed vines can cause cascades of blooms, filling the board with sudden color. Absolutely a game for anyone who likes beautiful things. 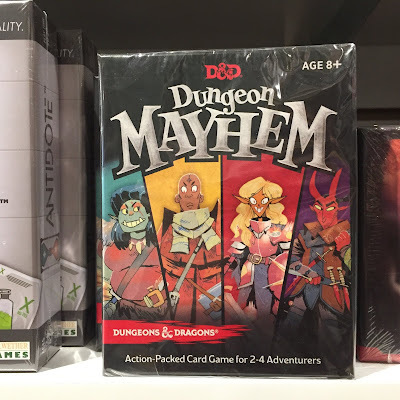 Finally, Dungeon Mayhem is a new D&D spin-off card game where your adventurers scrap it out for the biggest share of treasure. The base game contains a deck for a barbarian, a wizard, a rogue and a paladin. Sling spells and chuck weapons to come out on top of a pile of gold! And that's all for this week. Check back in next week for more What's New at Labyrinth!